A cross between two species of palms, Washingtonia filifera and Washingtonia robusta, the “Washingtonia Hybrid” is thought by many in the landscape industry to be a superior hybrid. This hybrid carries many of the traits and characteristics of its “parents” mixed into a palm that is fairly fast growing. Filibustas tend to have a heavier trunk then the Robusta variety but not as gigantic as the Filifera. The fronds too are larger than is commonly found on the Robusta but again, not as large as the Filifera. Filibustas are cold hardy up into Zone 8. 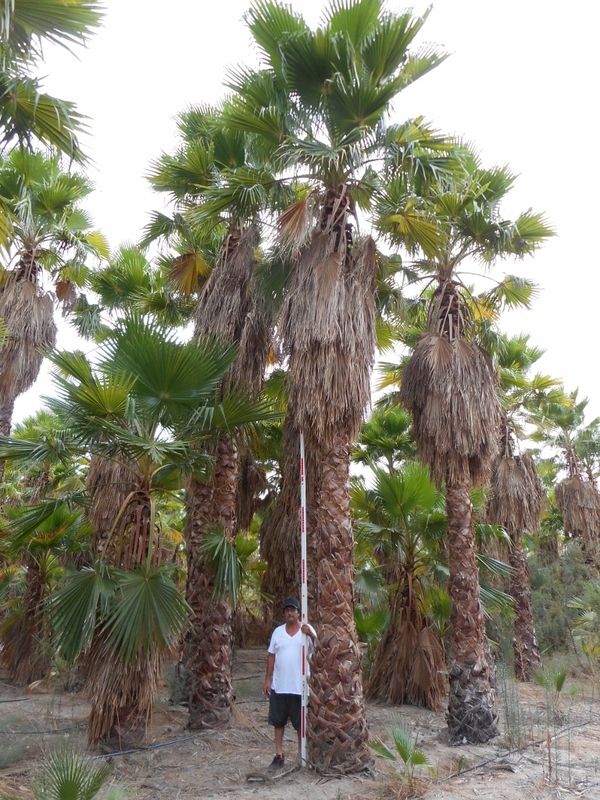 Once established onsite, these palms will take freezes down into the mid teens. 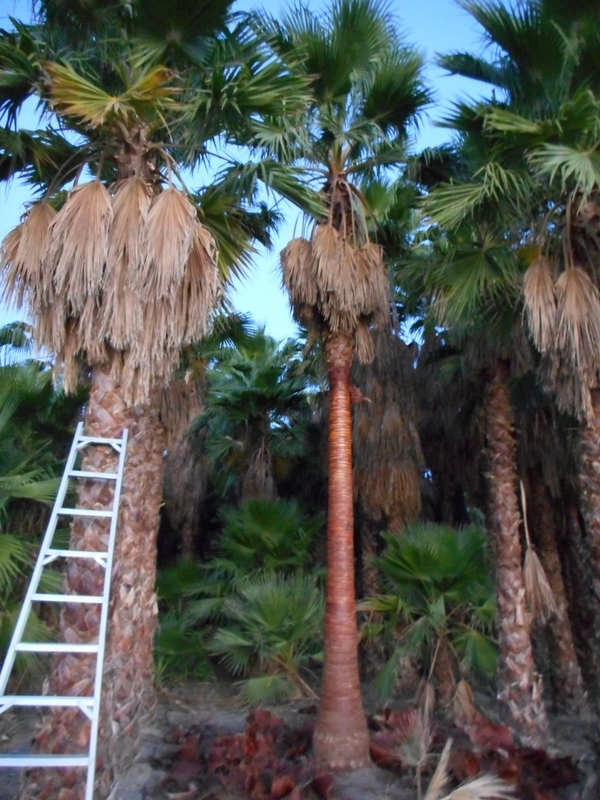 During these extreme freeze events, the canopies will burn back but so long as the palms were otherwise healthy, they will grow back out during a single season. Filibustas are an excellent choice for streetscapes, rows and individual or staggered group accent plantings. The canopies measure 8-10 feet across and the trunks can be thatched for a more natural look or skinned for a cleaner, more formal look. Please contact West Coast Trees for information and availability on Washingtonia Hybrid.